Here at BlockSparks we’re getting ready to launch our own podcast offering on the world. 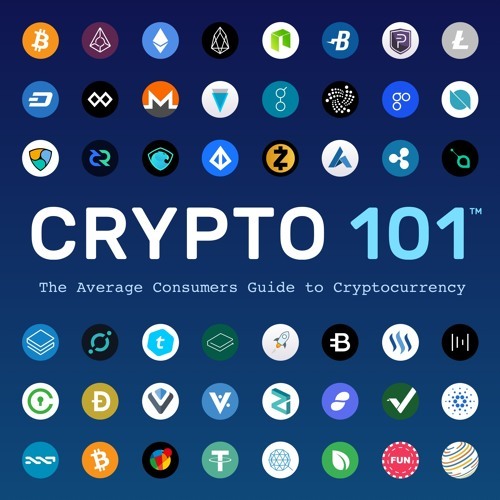 But before we do that, we wanted to talk about some of the podcasts we listen to in the cryptospace already, which have taught us and entertained us and continue to provide knowledge and information to us every week. As writers and marketers we spend far too much time at our desks, so podcasts are a real win-win as they can be enjoyed on the move and whilst multitasking. 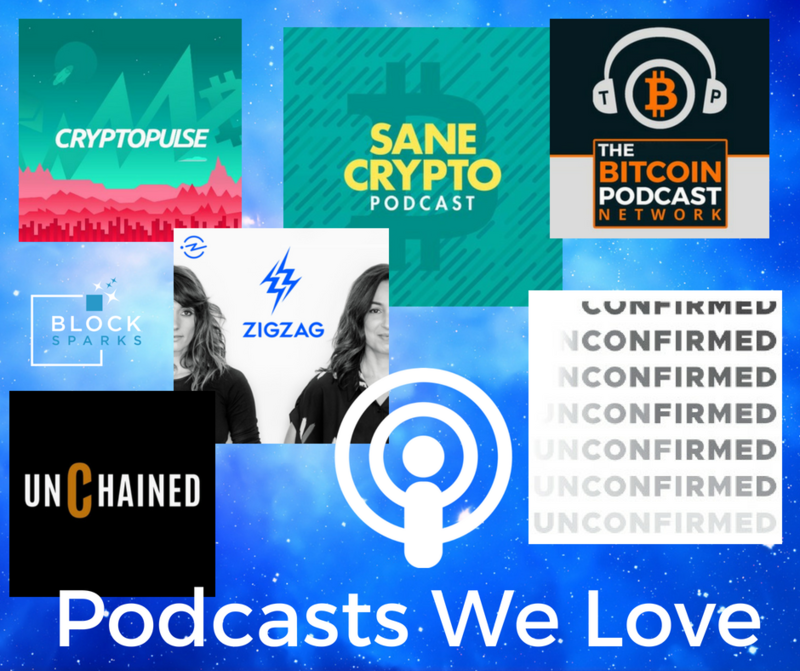 If you’re yet to discover our favourites, we’ll try to explain what it is about them which makes them unique and important, and if you’re a crypto podcast enthusiast already then please tell us about the ones you like best. 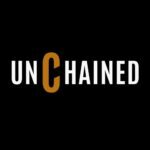 Laura Shin is an independent journalist covering all things blockchain and crypto, and a true stateswoman of crypto credibility for me. 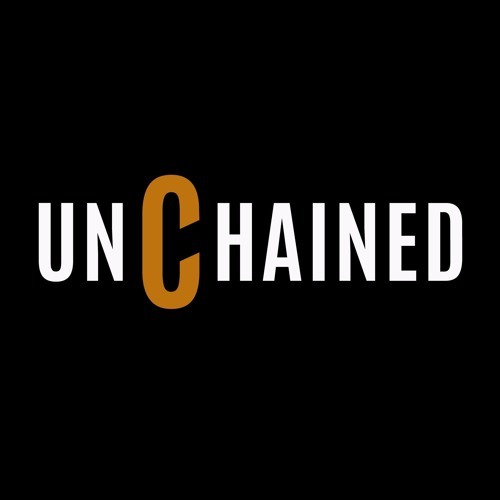 “Unchained” started back in 2016, a geological era ago in this space, and her shorter podcast “Unconfirmed” started earlier this year – so she combines deep-dive explorations and interviews, with the newsier round-ups and rumours in the shorter weekly show. 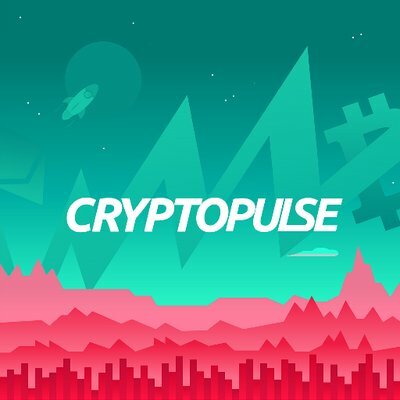 Laura has interviewed everyone who is anyone in crypto, industry pioneers across tech, financial services, healthcare, government and other sectors (everyone except Brad Garlinghouse from Ripple). 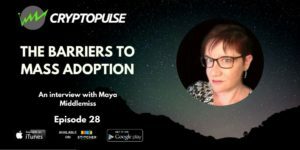 She’s an old-school journalist and digs into the issues, exploring possibilities and potential for the impact of blockchain tech on all of us. A really good place to start if you want to know what’s really going on in the industry. But please note if like me you have far too many podcasts on your reader, Shin’s voice does not work well speeded up! So take your time, there will be plenty to keep you thinking anyway. 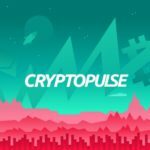 Hosted by Ben Rees & Kevin Basham, we enjoy Cryptopulse’s uniquely British take on all matters crypto and blockchain – it isn’t just sentiment given our own backgrounds here at BlockSparks, there are some aspects (such as taxation and regulation) which are really difficult to find quality sources of relevant information about for a UK audience. They started podcasting in December 2017, and have a range of projects in the pipeline. 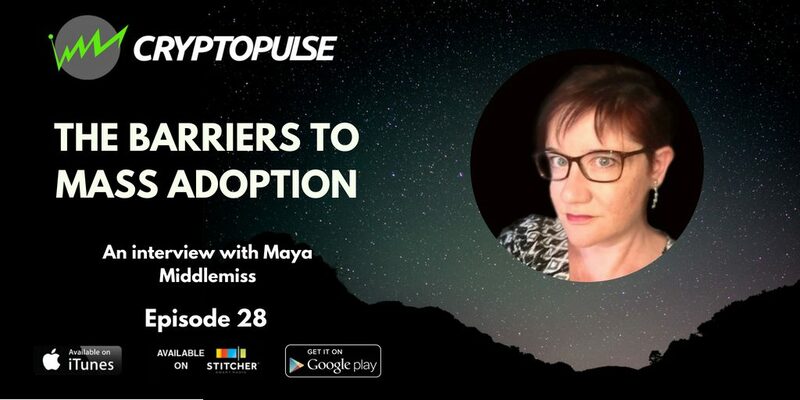 They focus on a mix of discussions, education, explorations of different projects… And interviews with all sorts of interesting people, including our own Maya Middlemiss. They also operate thriving social media communities, to keep the conversation going. Manoush (award-winning host of ZigZag and co-founder of Stable Genius Productions. Investigating how technology is transforming humanity is her passion and expertise) and Jen (co-founder of Stable Genius Productions, creator of groundbreaking podcasts and the first Werk It Festival) come across as people you want to meet and drink wine with, and then Whatsapp each other lots, hoping your busy lives will meet again someday. 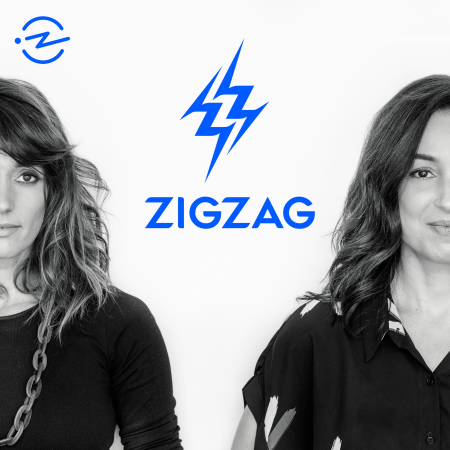 I love their radical honesty and candour, from their dawning understanding of the CVL tokenomics and crypto, to the self-doubt and anxieties which accompany the start of doing anything new and worthwhile. They really embody the intimacy of podcasting for me and the way you can truly tell a story through audio alone, whilst simultaneously educating and inspiring along the way. Civil is a really exciting project too, for anyone who cares about communication and journalism with integrity with token sale launching shortly – check it out here. Good, basic educational foundation stuff here – does what it says on the tin, and explains the basics in an accessible and international style. The host and founder of Sane Crypto, Kim Snider Hughes, is a retired 20+ year investment advisor – lured back by the intrigue of crypto despite a skeptical start. She shares her own cautious and grown-up perspectives on the role of crypto – essentially Bitcoin – in a balanced investment portfolio, as part of a retirement strategy. No lambos or moon memes from Kim – instead, you get intelligent and grown-up assessment, from someone who has done a ton of independent research and due diligence. One of the most helpful metaphors she shared in an early investment, was to liken the inclusion of a bit of Bitcoin in your portfolio along the lines of Pascal’s Wager – the idea that, in the absence of concrete evidence either way, one should believe in a deity of some kind, due the asymmetry of the risk involved: if it doesn’t exist, nothing lost, but being wrong the other way could cost you big time. It’s that same asymmetry of risk she applies to the new cryptoasset class, which could yield staggeringly high returns, potentially. The important thing is to invest an amount which will give you those possible amazing yields, but without risking devastating losses if it went the other way. Sane, I reckon. Whilst ostensibly targeted at baby boomers refining retirement plans, Kim’s advice will appeal to anyone who wants to understand the risks and potential gains, and she addresses reader queries on air and via email each week. 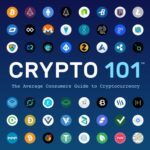 There are many other great crypto and blockchain related podcasts, and it all depends on what niches most interest you – the Bitcoin Podcast Network alone has a range a shows and presenters, (Website: https://thebitcoinpodcast.com itunes: https://itunes.apple.com/us/podcast/the-bitcoin-podcast/id1000457699?mt=2), and that’s just about one coin! 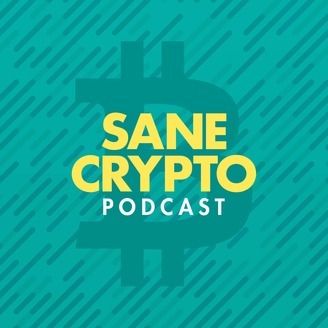 If you want to dive deeply into mining or payment gateways or cryptography or technical trading analysis, there is someone out there sharing their expertise freely on a podcast near you. It’s just one more manifestation of the way that people give of their time and knowledge in this space, to help others get on board and take their first steps into this brave new world. Keep an eye out for one more podcast coming your way later this year too, from the team here at BlockSparks!